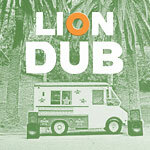 Eight tracks from The Lions' debut ''This Generation,'' reworked and dubbed straight to tape by Dub Club founder and producer Tom Chasteen. Open copy, played in our store. Excellent condition. Clean hole punched through bar code.